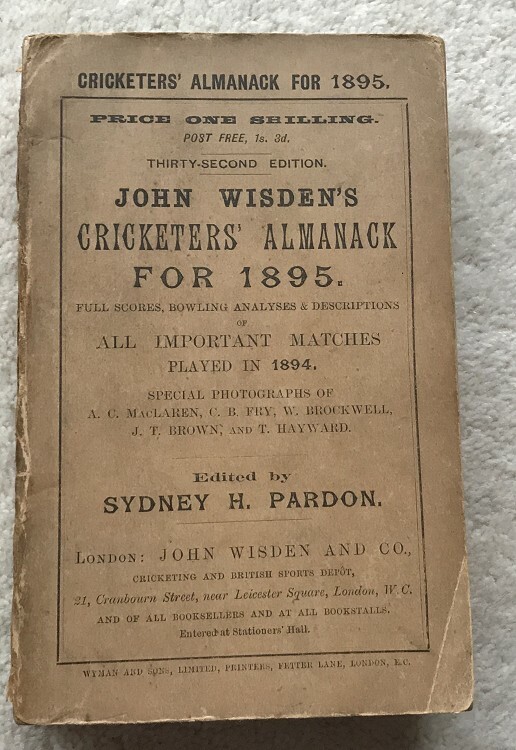 This lot is an Original 1895 Wisden Paperback. In Very Good Condition. You do not see too many late 1890 PBs in great condition these days so it is nice to show this one off. This Wisden is very nice, 100% original the covers are tall and pretty clean, both covers have one corner that has a fold line otherwise very good. The spine paper is a bit mucky but nearly complete and tightly bound. Clean pages for the year (odd small mark) and internally a super book with an excellent photoplate.